Sheffield’s Adam Duffy suffered heartbreak as his quest for a Crucible appearance was crushed. The 26-year-old lost 10-8 to Jamie Jones at Ponds Forge in the final round of qualifying for the upcoming Betfred World Snooker Championship. The amateur cueman was bidding to become the first player to represent the city at the Crucible, and says it is ‘gutting’ to fall at the final hurdle. 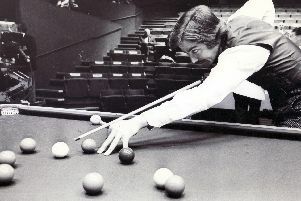 “It would have been very good to be the first amateur and the first Sheffield player to make the Crucible,” said the man from Ecklington. Duffy looked impressive in dispatching Martin Gould in the opening round, before beating Sam Baird in the second to go within one victory of a heroic homecoming. He found himself just a frame behind after the first session, with Jones holding a 5-4 lead overnight. After the Welshman took three of the opening four frames on Wednesday, Duffy hit back with three in a row to level at 8-8, only to lose the last two and fall just short of a Crucible berth. “I played well against Martin and Sam but I think I just ran out of steam against Jamie,” he added. “I felt a bit drained. They’ve been playing in tournaments all year and I’ve hardly played in any, so that helped him. “I just felt like everything was hard work. I was trying to force things to happen and it was going the other way.